Do you know a university student interested in wellness? 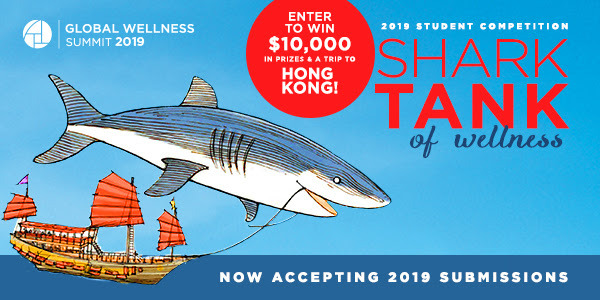 If so, he or she could win a trip to the 2019 Global Wellness Summit in Hong Kong by participating in the “Shark Tank of Wellness” student competition. This unique global challenge rewards university students for their most innovative, impactful idea for the wellness industry. We define wellness industrybroadly and are seeking innovations in sectors as varied as architecture/design, beauty, education, fitness, hospitality, investment, medicine, nutrition, real estate, spa, technology, travel, tourism, and more.